Up to Know Good. God, the Jealous Hypocrite? The Washington Times: It's monstrous to suggest abortions should be easier for minors to procure than other surgical procedures. Enter the American Civil Liberties Union. After losing in federal court, the ACLU has found new ways to delay a 1995 Illinois law requiring parental (or legal guardian) notification before subjecting minors to abortion. Americans United for Life has come to the rescue with a new "friend of the court" brief. American law doesn't ordinarily confer full autonomy on minors. As the "Encyclopedia of Everyday Law" explains, "In general, for most medical procedures, the parent or legal guardian of the minor still has to grant consent in order for the procedure to be performed. While the state can challenge a parent's decision to refuse medically necessary treatment and can in some cases win the authority to make medical decisions on behalf of the child, the minor can not make his or her own medical decisions." That's plan old-fashioned common sense. As the U.S. Supreme Court explained in Roper v. Simmons (2005), "Minors possess a lack of maturity and an underdeveloped sense of responsibility," which result in "impetuous and ill-considered actions and decisions." Nonetheless, even after the Illinois law was upheld by the 7th U.S. Circuit Court of Appeals, the ACLU - on behalf of the Hope Clinic for Women in Granite City, Ill. - filed suit in state court to block the law. The ACLU said the law offends the state constitution if not the U.S. Constitution, and, "There is no justification" for the law. Absurdly, the ACLU asserts, "Minors seeking abortion services independently of their parents are sufficiently mature to provide informed consent." 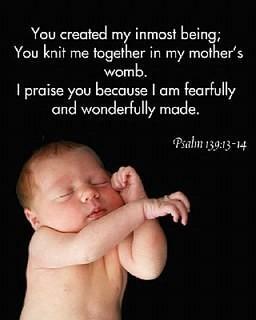 Americans United for Life (AUL), filing on behalf of eight Illinois legislators, made mincemeat of this argument. Citing study after study, the lawmakers showed abortions cause even more serious long-term health problems for minors than adults. Beyond the obvious mental or emotional health ramifications, it's proven that minors are at significantly greater risk than adults of cervical lacerations during abortions, of post-abortion infections such as pelvic inflammatory disease and endometritis, and of physical problems with later pregnancies. AUL's brief even cited studies from the nation's leading abortion provider, Planned Parenthood: "The Guttmacher Institute - Planned Parenthood's research wing - has acknowledged that because minors are less likely than adults to take prescribed antibiotics or follow other regimens of treatment, they are at greater risk for subsequent miscarriage, infertility, hysterectomy and other serious complications." In 2009, the 7th Circuit made clear there is zero doubt "the state has an important interest in the welfare of its children that justifies regulation of the abortion of minors that would not be upheld if applied to adult women." The decision upholding the law was written by Judge Richard D. Cudahy, who was appointed by liberal President Carter. Thirty-one states have parental-notice laws, which reflects the obvious fact that minors deserve adult care, attention and advice in difficult situations. The ACLU should drop the case and allow Illinois minors the same humane protection they get across the country. Sometimes a different story from nature gives us a pro-life compassionate message. Visitors to a safari camp close to where the film Out Of Africa was shot stood in awe as they witnessed the annual wildebeest migration. 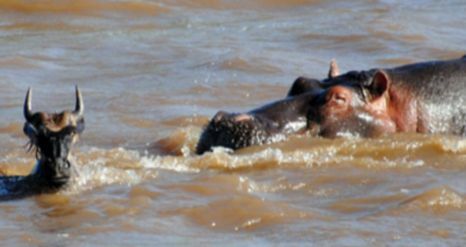 But as they watched thousands of animals cross the raging Mara river they were astonished to see a hippo come to the rescue of two drowning stragglers. 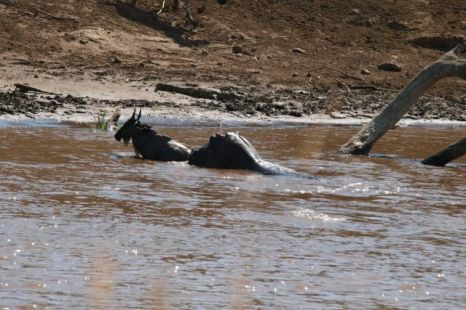 The strong current separated a wildebeest, or gnu, from her calf and she watched helplessly as it was swept away. 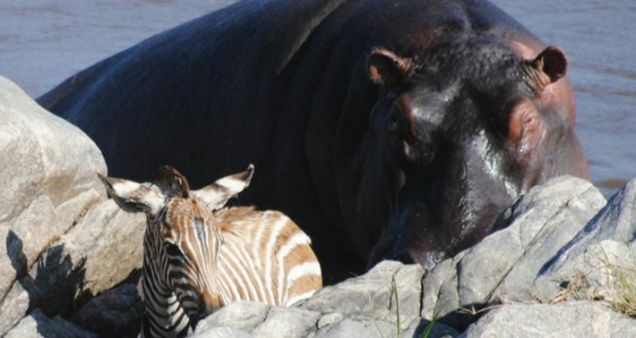 To everyone’s amazement the hippo came to the gnu’s rescue and pushed it gently to the river bank,’ said Abdul Karim, the head guide at Sanctuary Olonana in the Masai Mara, Kenya. The infant panted for a moment before getting up and running to its watching mother. But the female hippo’s work did not finish there. Within ten minutes she spotted a little zebra crossing the same stretch of water and pushed it across, its tiny head struggling to keep above the torrent. ‘It was an unforgettable incident,’ said Mr Karim. ‘Maternal love can be so strong it can even surpass species boundaries,’ he added. Huge concentrations of game move between Kenya and Tanzania’s Serengeti National Park every year in the constant search for fresh grazing. By Penny Starr, CNSNews.com: Planned Parenthood received $349.6 million in tax dollars in the fiscal year ending on June 30, 2008, and it paid its president, Cecile Richards, $385,163, plus another $11,876 in benefits and deferred compensation. According to a “fact sheet” published by the organization, Planned Parenthood Affiliate Health Centers performed 324,008 abortions in 2008. Planned Parenthood’s fiscal year that ended on June 30, 2008 is the latest year for which the organization has publicly released an annual report and published the annual sum of grants and contracts it received from the government. The $385,163 in pay Planned Parenthood President Richards received in the organization’s fiscal year ending June 30, 2008 was recorded in the group’s publicly available Internal Revenue Service Form 990 filed for that year. Richards also received $346,285 in total compensation from Planned Parenthood and $38,476 in total compensation from related groups in the organization’s fiscal year that ended on June 30, 2009, according to the organization’s Form 990 for that year. Planned Parenthood did not respond to repeated inquiries from CNSNews.com about Cecile Richards’ compensation. In January 2009, Rep. Mike Pence (R-Ind.) introduced legislation to defund Planned Parenthood and other abortion providers that receive taxpayer funding. His bill, H.R. 614, would amend the Public Health Service Act to prohibit “providing any federal family planning assistance to an entity unless the entity certifies that, during the period of such assistance, the entity will not perform, and will not provide any funds to any other entity that performs an abortion.” “Congressman Pence will continue to fight for the unborn and intends to reintroduce his legislation to defund Planned Parenthood this coming Congress,” Mary Vought, press secretary for the House Republican Congress, told CNSNews.com. The bill was referred to the House Committee on Energy and Commerce on Jan. 21, 2009 where it has since languished. Marjorie Dannenfelser, President of the Susan B. Anthony List: I’d be preaching to the choir if I told readers that victories at the ballot box don’t mean a thing until they produce legislative victories. So, with major electoral gains for the pro-life movement at the ballot box this November, what’s next? It’s time to end all federal funding of abortion. It’s a no-brainer. The majority of Americans consider themselves to be pro-life. And an even larger majority believes that tax dollars shouldn’t be used to fund abortion. • The “No Taxpayer Funding for Abortion Act” - a bipartisan bill sponsored by Reps. Chris Smith (R-NJ) and Dan Lipinski (D-IL), would create a government-wide statutory ban on abortion funding including those funding provisions contained in Obamacare. • The “Title X Abortion Provider Prohibition Act” - sponsored by Rep. Mike Pence (R-IN), would ensure that abortion providers, including organizations like Planned Parenthood, do not receive federal dollars under the Title X federal family planning assistance program. The pro-life movement really flexed its muscles in the 2010 election. Many representatives learned the consequences of their vote for a health care bill that included taxpayer funding of abortion when they were thrown out of office by the constituents they betrayed. 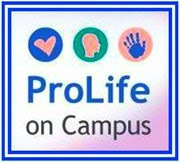 Those Members have been replaced by authentic pro-life voices that are supported by a strongly pro-life GOP leadership. With its promise to defund abortion in its Pledge to America, that leadership team has shown it understands the urgency of addressing the tragedy of nearly 4,000 abortions a day. Now it’s time for the pro-life Republican majority in the House to make good on that Pledge. It should start by ending all taxpayer funding of abortion. We showed our strength in key Congressional races across the country; now it’s time to do so on Capitol Hill. You can help by taking two minutes to sign the SBA List’s Stop Abortion Funding petition today. It’s a call on the 112th Congress to pass the lifesaving legislation mentioned above to prevent our hard-earned tax dollars from paying for abortion. Tags: Abortion, Marjorie Dannenfelser, Pro-Life Movement, Right to Life, Stop Abortion Funding, Susan B. Anthony List, Susan B. Anthony, pro-life Hat Tip ARRA News Service. Thanks!